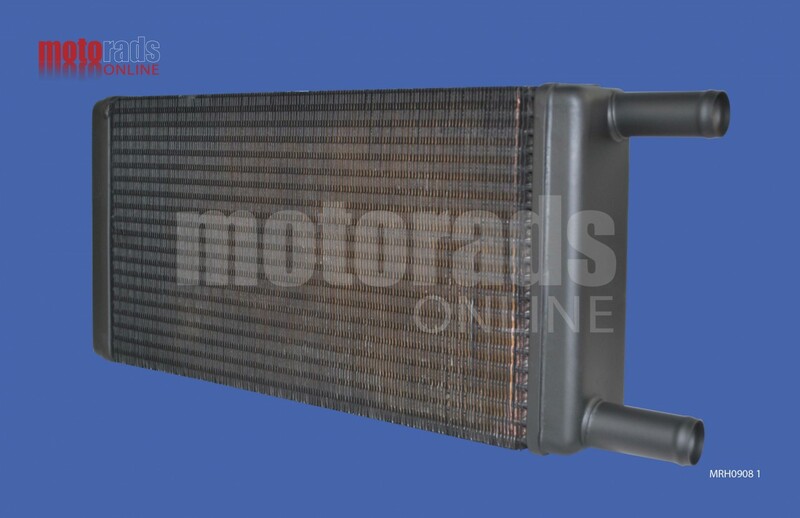 A Top Quality Heater matrix to fit the Alexander Dennis ALX400 coach 1997 - 2006. This is a robust copper and brass aftermarket heater matrix made to the highest standards in the UK. There are many different coach builders and body styles. The ALX400 body was also available on the Volvo B7TL and DAF/VDL DB250 Chassis which means this heater may be compatible with these models too. This heater has been used along with others on the models above. Check the corners the pipes are mounted and the pipe centres, if your heater matches the description above and the dimensions match, this heater will be a direct replacement.You can click on the image to enlarge it or move your cursor over a specific area to look more closely at a particular feature on the heater core. The dimensions given below are at the longest, widest and deepest points of the heater and not the centre core measurements. If you are not sure whether this is the heater you require please contact us and we will help. A robust copper and brass heater matrix will be supplied and not the plastic and aluminium version.